The green stuff makes it healthy. Yup, I’m sure. it has cheese. dairy is good for you. I would pick that green stuff out because of the possibility of rat lung disease . . . add some well-cooked pork to make up for the loss in nutritional value. I agree with the former commenters. The green stuff probably is poiseness. Ha ha .. healthy and a bit peppery! Yum .. I can only say soulmate. 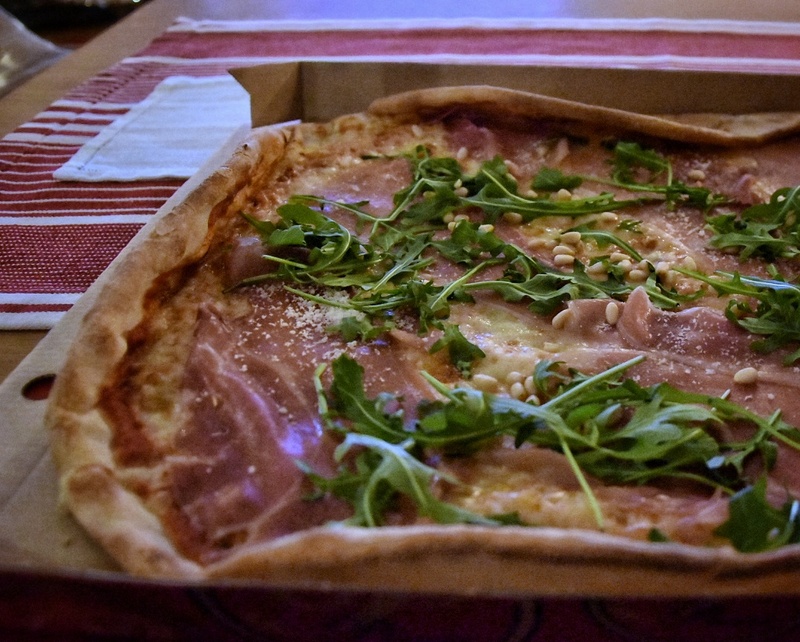 😀 I love pizza with rucola! Add shrimps and you have my favourite.